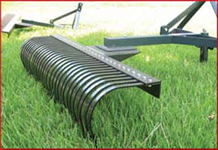 We maintain a Premier Line of Farm and Ranch Implements on-hand. Prices and specifications of implements are subject to change without notice due to manufacturer changes. Please call for latest details. We also do Special Orders, so give us a call (866 969-0005) or email.